During low season we run both kayak and hiking activities! 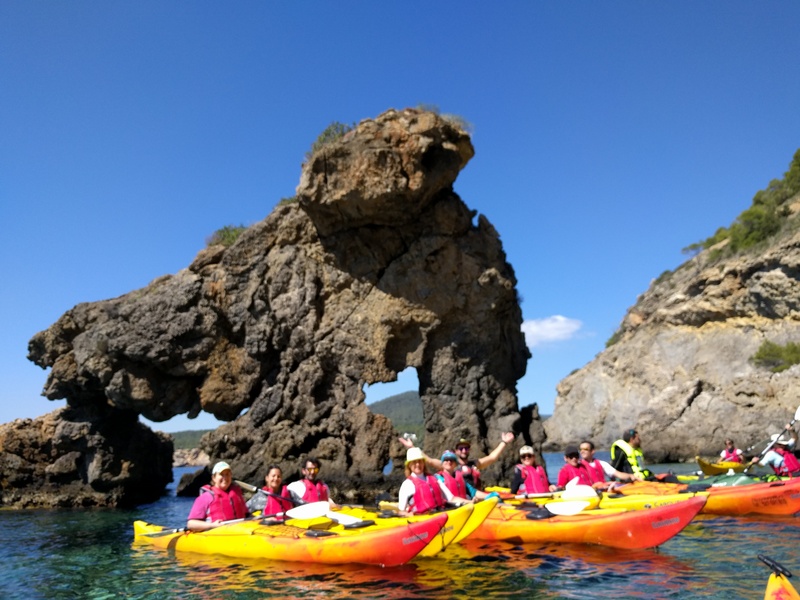 Kayaking on Wednesday and Sunday mornings with one or a couple of our local guides (Paolo, Lauren, David, Marcos or Victor!) We enjoy the calm of low season on Ibiza. Peaceful waters, hidden bays and secret caves. We kayak to islands just off the coast and spot local wildlife. Always stopping halfway for a break, usually on a deserted beach, we share some warm tea and snacks. We finish on the beach with some stretching and usually head off to share a drink or lunch in a local restaurant to makr the end of a wondertful time! Sunday mornings we go walking with David or Paolo our local guides. Combining walks with local fiestas or certain seasonal opportunities (Almond Blossum in Santa Agnes) we visit the best of Ibiza. Exploring Ibiza by foot we get to know the real side of the island. We share local knowledge on wildlife, flora and fauna. Always stopping halfway for a break, warm tea and snacks. Usually finishing off with a beer in a local bar! Contact us via email (form below) or WhatsApp for up-to-date information on up coming excursions.